When you think of Hatton Garden in London, you will likely thing of rows and rows of shops filled with exquisite jewelry. When you think of Hatton Garden, you will likely thing of rows and rows of shops filled with exquisite jewelry. It is the go to place in London for engaged couples to pick out engagement rings and wedding bands. Hatton Garden is a street situated in Holborn in the London Borough of Camden. The name is derived from Sir Christopher Hatton, a loyal favorite of Queen Elizabeth I. It is famed as London’s jewelry quarter and the center of the diamond trade. Today, there are just short of 300 businesses located in Hatton Garden and over 55 shops – this amounts to the largest cluster of jewelry retailer in the UK. As well as being known for its jewelry, Hatton Garden has a history with the Jewish population and many of the businesses owned there are Jewish-owned, both secular and haredi. We are going to be exploring why it is that Hatton Garden has a long history with the Jews and in what capacity. 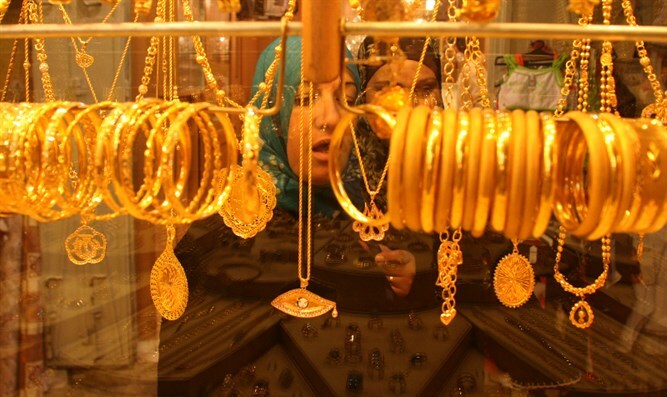 Why are Jews so involved in the jewellery trade? The Jewish people have been linked to the jewelry trade back to the 15th century in mainland Europe. At this point in history, the Catholic Church dictated daily life and the laws of the continent. One of these laws was that the Church forbade the handling of goods or money for Christians, meaning the Jews could take up the opportunity to play a significant role in wider society as money lenders, providers of financial services and in the diamond trade. When the Jews were expelled from both Spain and Portugal in the late 1400s, many choose to relocate to Belgium, specifically Antwerp which was a crucial port for European trade. Antwerp already held about 90 per cent of the uncut diamonds and polishing trade. The reputation of Hatton Garden for diamond dealing came by the end of the 19th century when Belgian Firm De Beers opted to sell all of its stones through London. Until World War II, business was commonly conducted on the street or in one of the many Kosher cafes which were situated on the street. Prices would be negotiated and agreed with a hand shake and an exchange of “Mazel”. After the Holocaust, those who managed to escape or survive from Belgium had little or no material, but they have years of family knowledge and experience in the diamond trade. Using this, they established connections and set up businesses to continue trading diamonds. It was not until the 1960s when the physical jewelry shops appeared on the high street and it was Laurence Graff, a son of Jewish East End immigrants, who opened Hatton Garden's first retail jeweler in 1962. Well-known jewellers in the area include Abrahams Diamonds, Simon Lewis and E Katz and Co. Slightly outside Hatton Garden is another well-known brand, Michael Platt Jewellery.